Except in the United States, with the exception of the world cup. 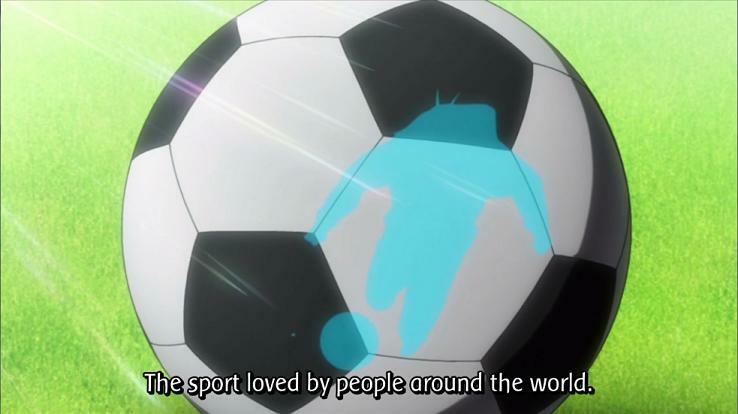 The last time I watched a soccer/football anime, I didn’t watch beyond the first episode due to illness. I’d like to go back and finish it someday, as it ended up with mostly positive reviews. Already having one soccer(I will use my lame american terminology) anime to watch doesn’t make me excited about the prospect of picking up another. But I heard some good things about the manga, so I figured I’d check it out.